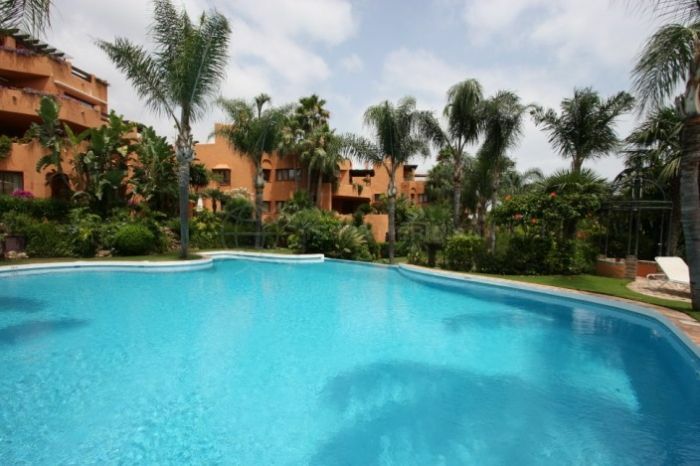 This impeccably designed first-floor apartment is conveniently located in the extremely coveted community of Los Dragos in a tranquil and quiet street in Nueva Andalucia. The flat features an entrance, stylish open concept living/dining area with fireplace, lovely fully fitted kitchen, 2 ample sized bedrooms, 2 bathrooms and a solarium. There is a relaxing covered sun shaded terrace connecting to the living room which boasts gorgeous views of the golf course and gardens and is perfect for enjoying the pleasant year-round Mediterranean weather. 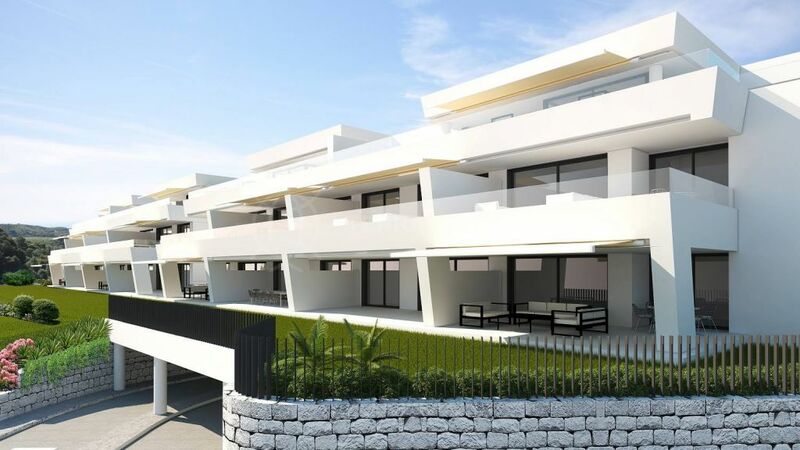 Los Dragos is a well-established development in the Marbella Golf Valley and steps from Aloha Gardens with its myriad of bars and restaurants. The community offers lush sub-tropical landscaping, a large swimming pool and tennis court. 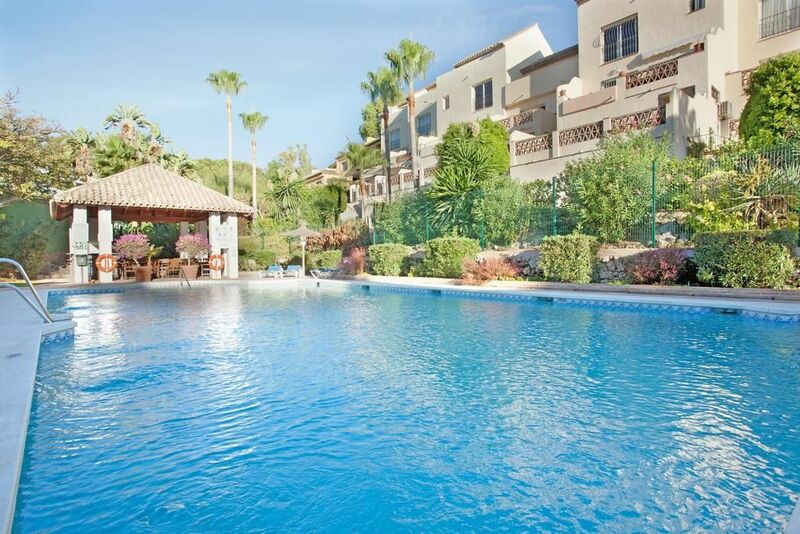 Surrounded by 3 acclaimed Costa del Sol golf courses, Los Naranjos, Aloha and Real Club de Golf Las Brisas as well as numerous other recreational areas and activities. Very well located just 5-minute drive from the beaches and Puerto Banús with its array of cafes, fine dining and upscale boutiques. The international airport in Malaga is less than 45 minutes away. Thanks to its unbeatable location, the neighbourhood is ideal for permanent residents or holidaymakers. "Perfect for year-round living or as a second home retreat." 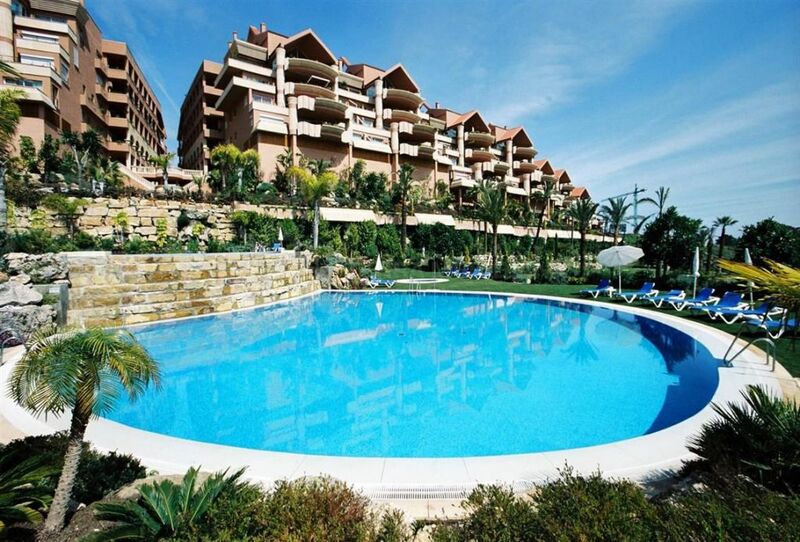 Please, send me more information about ref TMXA0817, Apartment in Nueva Andalucia or similar properties.